The bell jingled. I didn’t need to look up; it was the first Friday of the month and the number twelve bus had rattled past only moments ago. I looked up anyway. 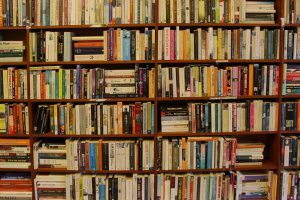 The familiar man nodded shyly and turned away to begin his monthly task of scanning the bookshelves. I returned to my work until a polite cough disturbed me.